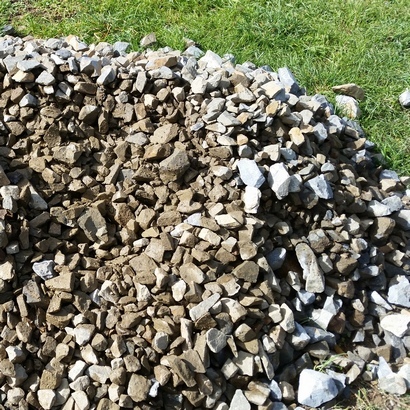 Machine filling gabions with railway ballast is unlikely to be an option, as you need to sort the rocks for size. 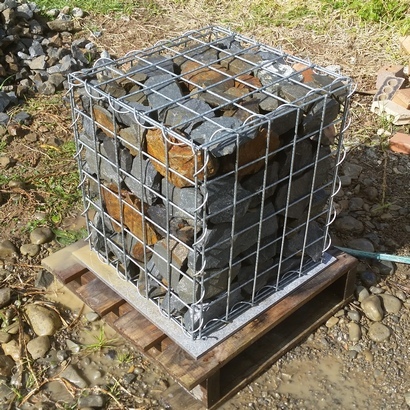 Completed 450mm cube gabion filled with railway ballast. Railway ballast is readily available, and often a lower cost option than standard gabion fill. 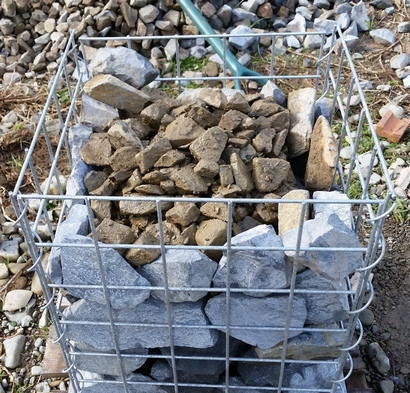 Making it suitable for filling landscape gabions, retaining walls should still be filled with the correct gabion rock specification, to ensure that the drainage and stability aspects are not compromised. 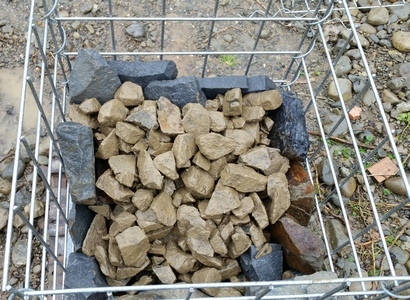 Gabion rock fill weighs approx 1700kgs per m3. Before ordering railway ballast as a gabion fill check the size specification of the ballast. To ensure that 30% of the ballast rocks are greater than 50mm in size.